Today I’m introducing a new guide to my blog Veggie Foodie. This will be an occasional listing and musings on a different foodie topic. The list and guide isn’t a definitive but some of my favourites and recommendations to look out for. To kick off, I’ve decided to look at Curry Restaurants in Birmingham, with a few from outside the area that i’ve come accross or visited. Curry in its various guises is for many vegetarians and vegans their go to food. It is for me and often the first meal I have when I come back from a holiday abroad for instance. For vegetarians, it seems it is the cuisine that we have the most options on the menu. Deepalis: An Indian vegetarian restaurant in the Jewellery Quarter which is smart and offers a good range of dishes. Comes well recommended. Sangam A vegetearian Cafe/sweet centre. Authentic curries, samosas, Pakoras, bhajis, to eat in and take away. Highly recommended. Milan Sweet Centre: Vegetarian sweet centre, cafe and resturant. Good choices and always busy. Jyoti restaurant together with sweet centre is one of my favourites, offering 72 main courses and 15 starters, with an autthentic sweet centre to take away or eat in. Highly recommended. A favourite of Jamie Oliver. A personal favourite. 1045 Stratford Road, Hall Green, B28 8AS. Pop Up Dosa: Making vegetarian dosa at home, at markets, at cafe. Offering cooking classes, and pop ups. See them at Ort Cafe in Moseley/Balsall Heath. See previous review on my blog. Superb. Lasan Restaurant: Contemporary, stylish and delicious, high end curry that packs a punch in lovely classy surroundings near St Pauls Square. A treat at any time. See previous review. Pushkar Restaurant: beautiful Cocktails, great curries, superb service on Broad Street. Highly recommended for that touch of class and sophistication. Ashas delicious curries, good veggie choices, consistent service, good lunch time deal and cocktails. Lovely restaurant, in central Birmingham off Colmore Row. Itihaas restaurant Exquisite, Indian food, lovely colonial style environment with superb attentive service. Excellent vegetarian options. Recommended. Itihaas also have a cafe in Selfridges Food Hall. Eat in or take away. Punjabi Rasoi:Authentic Cooking and attentive service in Acocks Green Birmingham. Kababish: Long standing curry house in Moseley, excellent curries, consistent with good service. Next to the Patrick Kavanagh pub. Recommended. Maharaja: Long standing and consistent. Old style service, and authentic curries. The saag paneer is superb. Next door to the Hippodrome on Hurst Street. 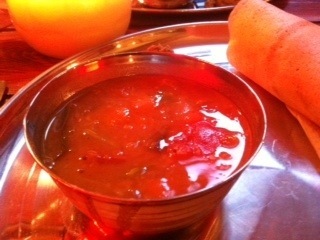 Raja Monkey cafe superb dosas, talis and curries. A lovely take away too. Owned by the Lasan Group. Horseshoe: Refurbished old pub in Hall Green. Recommended by Paul Fulford of the Birmingham Mail. Sylhet Spice on York Road, Kings Heath. Has a good reputation locally and also does takeaways. Always busy. Loyal regulars. Imlees in Moseley, on the Alcester Road also has a good reputation and a bring your own bottle policy. Always busy. Al Frash: On LadyPool Road, perenial favourite, balti dishes and bring your own. 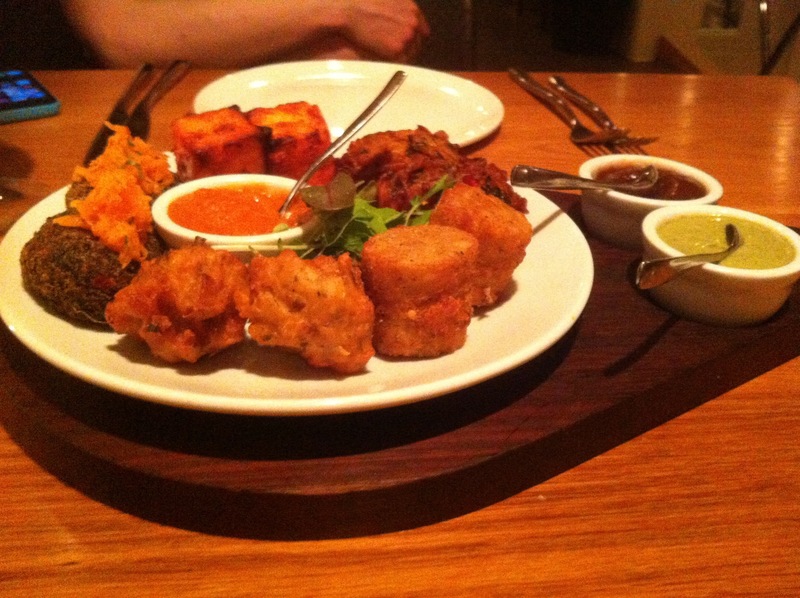 Delhi 6: Sutton Coldfield favourite: Good reviews and recommendations. Good veggie options. Becky’s Bhajis: Onion bhajis sold at food markets and street food days. Vegetarian and vegan friendly. Mendhi Vegetarian Indian Restaurant in Droitwich Worcestershire. Comes recomended. 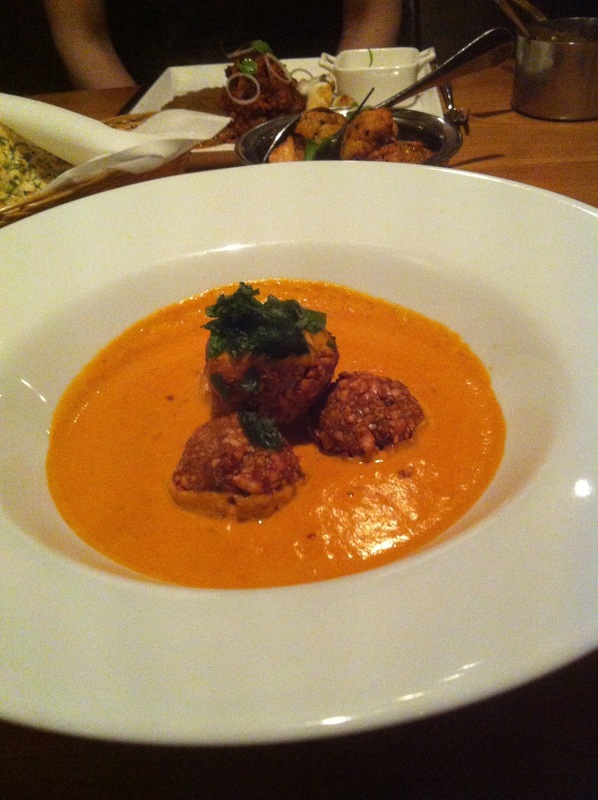 Pure vegetarian curries. 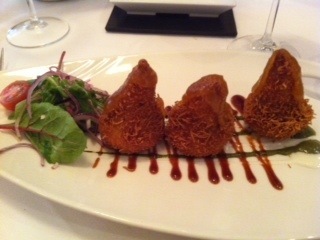 Prashad vegetarian restaurant near Bradford Yorkshire: Gordon Ramsey favourite With a Superb cookbook. Always popular and run the Veggie hour on Twitter once a month. Cobra good curry awards, and also have a vegetarian Indian cook book like Prashad. 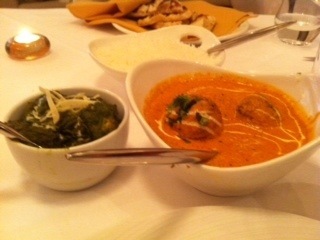 Bernares Berkeley Square London: A superb Indian Restaurant. High end and Michelin Starred. One of the best curries i’ve ever had in glam Mafair. As I’ve said it isn’t a definitive list and I will add to it as I go along.